Wherever you are for the Solar Eclipse on Monday, August 21, 2017, two new cocktail recipes from Jose Cuervo might just be the thing to cap the experience. Shake tequila and orange juice and pour into a rocks glass over ice. Mix charcoal lemonade and grenadine and slowly pour into the cocktail. Garnish with lime wedge. Shake tequila, lime and simple and pour into a rocks glass over ice. Top ice with Creme de Cassis and garnish with a mint sprig and lime wheel. MIAMI – One of the most luxurious ships ever built just turned one. Since her launch in July 2016, Seven Seas Explorer has set a new standard for luxury cruising, and to mark the ship’s first anniversary, Regent Seven Seas Cruises launched a new 360-degree Virtual Tours series on the line’s website www.RSSC.com. The cruise line known for the Most Inclusive Luxury Experience now invites all travelers to tour Seven Seas Explorer’s lavish suites, elegant restaurants and exquisite public spaces. Guests are welcomed into the main atrium when they board. A beautiful, circular inlaid marble floor marks the heart of the ship and is steps away from twin grand staircases that draw the eye upward towards a magnificent cascading crystal chandelier. Online visitors can step into the line’s opulent flagship restaurant Compass Rose – the largest specialty restaurant at sea; or go upstairs and stop for a virtual sip at the Cafe; have a twirl in the new Meridian Lounge; and visit the tranquility of the Canyon Ranch SpaClub. Along the way, visitors can enjoy the finest art collection at sea. To embark Seven Seas Explorer’s virtual tour, visit http://my.matterport.com/show/?m=6UGdixgNTk5. Each of the ship’s 375 spacious suites range from the impeccably designed 307-square-foot Deluxe Veranda Suite, to the exquisite 4,443-square-foot, two-bedroom, two-and-a-half-bath Regent Suite. Offering incomparable and luxurious ambiance, each suite features European king-sized Suite Slumber Beds adorned with sumptuous linens, and oversized bathrooms highlighted by rich marble and decorative tile. Regent Suite guests are ensconced in the best of everything including an industry-first, in-suite spa retreat with unlimited complimentary spa services by Canyon Ranch SpaClub. A custom Steinway Maroque piano designed by Dakota Jackson and a Savoir No. 1 bed add to the suite’s magnificence, while its 270-degree, wrap-around balcony offers guests almost as good a view as the Captain from the bridge. To tour each suite, visit http://www.rssc.com/ships/seven_seas_explorer/suites/. Celebrating its 25th anniversary in 2017, Regent Seven Seas Cruises offers one of the world’s most inclusive luxury experiences with a four-ship fleet that visits more than 425 destinations around the world. Regent Seven Seas Cruises is currently undergoing a $125 million fleetwide refurbishment that will elevate the level of elegance found throughout the fleet to the standard set by Seven Seas Explorer. A leader in luxury cruising, the line’s fares include all-suite accommodations, round-trip domestic air and business-class air for intercontinental flights from the U.S. and Canada, highly personalized service, exquisite cuisine, fine wines and spirits, unlimited internet access, sightseeing excursions in every port, gratuities, ground transfers and a pre-cruise hotel package for guests staying in concierge-level suites and higher. For more information about world’s most inclusive luxury experience aboard Seven Seas Explorer, or to make a reservation, please contact a professional travel agent, visit www.RSSC.com, or call 1-844-4REGENT (1-844-473-4368). For the latest news about Regent Seven Seas Cruises, visit www.rssc.com/news; like the line’s Facebook page; and follow @RegentCruises on Twitter. BROOMFIELD, Colo. – Vail Resorts’ Epic Pass, the only ski pass to span continents, continues to provide superb value in skiing and snowboarding offering unlimited, unrestricted access to the most iconic mountain resorts in the U.S., Canada and Australia as well as limited access to Europe, including expanded access in 2017-2018 to newly acquired Whistler Blackcomb in British Columbia and Stowe Mountain Resort, Vails’ first resort in Vermont. Purchasing the 2017-2018 Epic Pass before Labor Day ensures that skiers and snowboarders will lock in the guaranteed lowest price. Available at $859 for adults during this early bird period, the 2017-2018 Epic Pass offers access to 45 of the world’s best mountain resorts, including Whistler Blackcomb in Canada, the largest resort in North America, and Vail Resorts’ first East Coast mountain resort, Stowe in Vermont. Epic Pass holders will have unlimited access to Whistler Blackcomb in Canada, Vail, Beaver Creek, Breckenridge, Keystone and Arapahoe Basin in Colorado; Park City in Utah; Heavenly, Northstar and Kirkwood at Lake Tahoe; Stowe Mountain Resort in Vermont; Perisher in Australia; Afton Alps in Minnesota; Mt. Brighton in Michigan; Wilmot Mountain in Wisconsin. Epic Pass holders will again enjoy limited access to 30 European ski resorts including Verbier and Les 4 Vallées in Switzerland, Les 3 Vallées in France; Arlberg in Austria; and Skirama Dolomiti Adamello Brenta in Italy. Each resort delivers an iconic experience, unique alpine traditions and impeccable service. The Epic Local Pass offers unprecedented value to guests who are willing to plan around a few restrictions. Available at $639 for adults, skiers and snowboarders receive unlimited, unrestricted skiing or riding at Breckenridge, Keystone, and Arapahoe Basin; a total of 10 days at Stowe, Vail, Beaver Creek, and Whistler Blackcomb with holiday restrictions; and access with limited restrictions at Park City, Heavenly, Northstar and Kirkwood. With just one pass, skiers and snowboarders can gear up for endless experiences in the mountains, whether that means visiting a tried-and-true favorite or first-time exploration of a new destination. Guests can purchase season passes and start planning their next winter vacations at EpicPass.com. 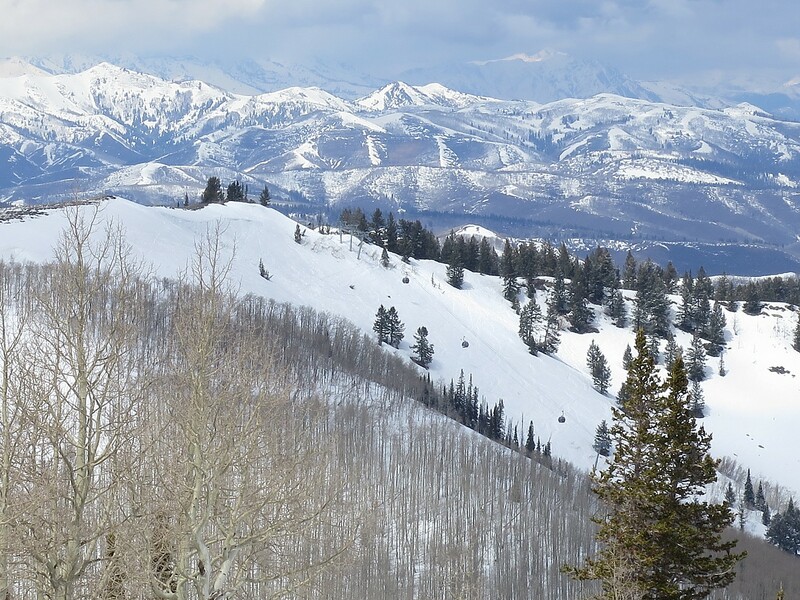 • Epic Pass™: Ski unlimited and unrestricted from opening day to closing day for only $859. The Epic Pass pays for itself in just over four days of skiing or snowboarding. Enjoy full access to Vail, Beaver Creek, Breckenridge, Keystone and Arapahoe Basin in Colorado; Park City in Utah; Heavenly, Northstar and Kirkwood at Lake Tahoe; Stowe Mountain Resort in Vermont; Afton Alps in Minnesota; Mt. Brighton in Michigan; Wilmot Mountain in Wisconsin; Whistler Blackcomb in Canada; and Perisher in Australia for the 2018 season. The Epic Pass grants limited access to Arlberg in Austria; Les 3 Vallées, Paradiski and Tignes-Val D’Isere in France; Skirama Dolomiti in Italy and 4 Vallées in Switzerland. A child pass (ages five to 12) is $449. • Epic Local Pass™: For $639, receive unlimited and unrestricted skiing or riding at Breckenridge, Keystone and Arapahoe Basin with limited restrictions at Park City, Heavenly, Northstar and Kirkwood, plus a total of 10 days at Vail, Beaver Creek, Stowe, and Whistler Blackcomb with holiday restrictions. The Epic Local Pass pays for itself in just over three days. A child pass (ages five to 12) is $339. • Epic 4-Day™: A convenient option for a short ski trip. The pass pays for itself in just over two days and includes a total of four unrestricted days valid at Vail, Beaver Creek, Breckenridge, Keystone, Whistler Blackcomb, Park City, Heavenly, Northstar, Kirkwood, Stowe and Arapahoe Basin, plus four free days at Afton Alps, Mt. Brighton or Wilmot Mountain. The Epic 4-Day Pass is $419 for adults and $229 for children (ages five to 12). Season Pass Insurance: Vail Resorts encourages guests to purchase pass insurance. All of the Company’s season pass products are non-refundable and non-transferable; however, pass insurance covers pass holders in the event of unexpected circumstances including sickness, injury and job loss. Find out more at EpicPass.com. Vail Resorts, Inc., through its subsidiaries, is a leading global mountain resort operator. Vail Resorts’ subsidiaries operate 11 world-class mountain resorts and three urban ski areas, including Vail, Beaver Creek, Breckenridge and Keystone in Colorado; Park City in Utah; Heavenly, Northstar and Kirkwood in the Lake Tahoe area of California and Nevada; Whistler Blackcomb in British Columbia, Canada; Perisher in Australia; Stowe in Vermont; Wilmot Mountain in Wisconsin; Afton Alps in Minnesota and Mt. Brighton in Michigan. Vail Resorts owns and/or manages a collection of casually elegant hotels under the RockResorts brand, as well as the Grand Teton Lodge Company in Jackson Hole, Wyo. Vail Resorts Development Company is the real estate planning and development subsidiary of Vail Resorts, Inc. Vail Resorts is a publicly held company traded on the New York Stock Exchange (NYSE: MTN). The Vail Resorts company website is www.vailresorts.com and consumer website is www.snow.com.